Great Online Shopping Festival abbreviated as GOSF is all set to start its shopping festival from 10th to 12th December, 2014. It is an initiative of Google India . This festival continues every year by Google in the month of December especially for India. More than 400 Companies are participating in GOSF. The idea behind the GOSF festival was to promote sales through discounts and gain popularity via Internet. The success can be defined with respect to last year GOSF, the site has got crashed several times and the festival was extended for day. GOSF is celebrated all over the world but with different name. This concept originate from US in 2005 and has been celebrating wide across the world. 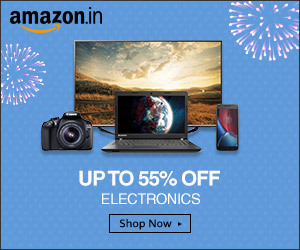 Almost all popular e-commerce websites are participating this year also and it is sure that there will be huge discounts on tablets. If you are planning to buy tablets then this is the perfect time to switch. Here at My Tablet Guru we will be listing the top deals on tablet during 10th to 12th Dec. If you want to buy tablet today, then see the table below for today deals.